This site is for the neighbors and friends who enjoy our northwoods. Bony Lake is located in Northwest Wisconsin near the town of Barnes in Bayfield County. 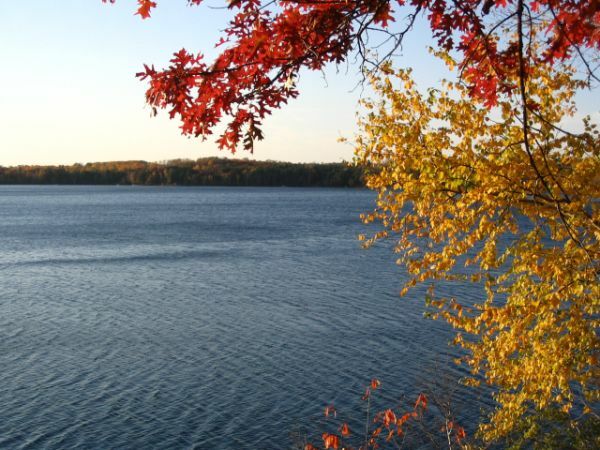 Located approximately 20 miles north and slightly west of Hayward along Hwy 27, Bony Lake is one of eleven lakes that make up the Eau Claire Lakes chain. Bony Lake is 191 acres with a maximum depth of 55 feet. As a spring fed lake, water clarity is typically in excess of 20 feet. Access to Bony Lake is limited to smaller boats who can navigate the 1/4 mile channel that connects to the 900+ acre Middle Eau Claire Lake. The purpose of this site is to provide a home for information relevant to the residents, property owners and visitors to our beautiful little lake. The pages of this site contain information about the area, events in local communities nearby, documents, maps and pictures of our neighbors and friends. Stop by whenever you can to see what's new and happening on our lake. If you have pictures or other content to share for this site, please visit our Contact page.